© 2015 Universal Orlando Resort. All rights reserved. The word “wonka-esque” gets thrown around quite a bit to describe different fantastical and edible creations from bubble gum-flavored broccoli to 3-D printed chocolate. 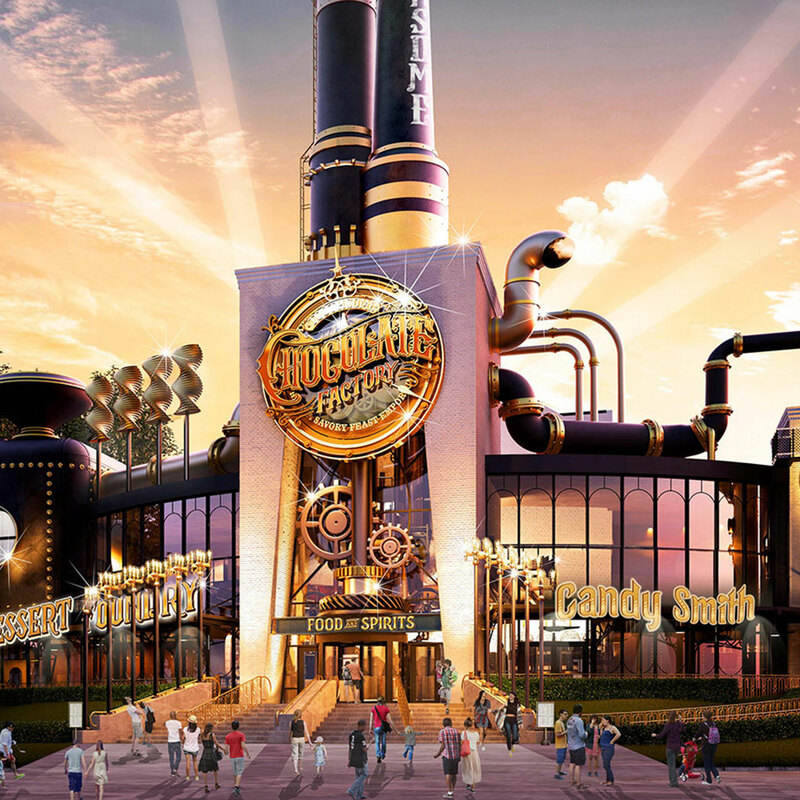 And Universal City Walk in Orlando is taking its own shot at aspiring to the dreamlike world of pure imagination with its coming Steampunk chocolate shop. The Toothsome Chocolate Factory will open later this year with, “towering smoke stacks, funky gadgetry and staff wearing unique Steampunk fashion” according to a release on the Universal blog. Whether the food will be of the same ilk as fizzy lifting drink or lickable wallpaper is still an open question though. There will be some very on-trend over-the-top milkshakes topped with items like red velvet cupcakes and bacon brittle as well enormous ice cream sundaes in flavors like Salted Caramel Flan or S’mores and dressed up theme park fare like burgers and salads. And while no one should turn their noses up at a giant milkshake, the edible options may be more fattening than fascinating. But hey, if you're looking for gourmet food from a tourist hotspot like this, your options are pretty limited. But if the renderings are any indication, the 19th century vibe inside should make for a fun stop off if your travels take you to Universal. If you go, you’ll just have to hope that your waiter isn’t a creepy clone of Deep Roy.